I have a little juice monster at home. A fact that I'm not complaining about because at least I know what she's drinking is healthy. She particularly likes orange juice. But then again, I never really bought her any other flavor. I was just thinking since orange is the ultimate Vitamin C source, then it must be good for her. But I guess I wasn't really doing my research because I realized that orange juice is not the only fruit rich in vitamin C. Duh. There are a lot of other juices that pack vitamin C and a lot more other vitamins that are good for us. Hint? "An ________ a day keeps the doctor away!". That saying doesn't exist for nothing. Yes, APPLES! Why apples? Based on this website here, apples have Pectin which lowers both blood pressure and glucose levels, and also lower bad cholesterol. It also has Boron for stronger bones and a healthy brain. It's got Quercetin which shows promise for reducing the risk of cancers including lung and breast cancer.And then of course, Vitamin C which boosts immunity. Apples are very rich in Phytonutrients including Vitamins A and E and beta carotene, which all help lower the risk of heart disease, diabetes and asthma. Another interesting thing is that an apple is actually low in calorie density. 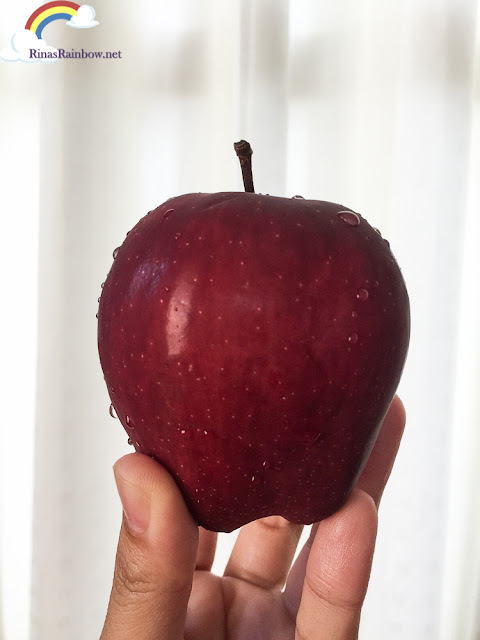 No wonder they say that apples are a good diet snack because even if you eat a lot, umber of calories are low and it will help you feel full right away. So, with all these amazing benefits and more, you could say that apples are awesome! And giving 100% pure apple juice to our family is obviously a great thing to do. 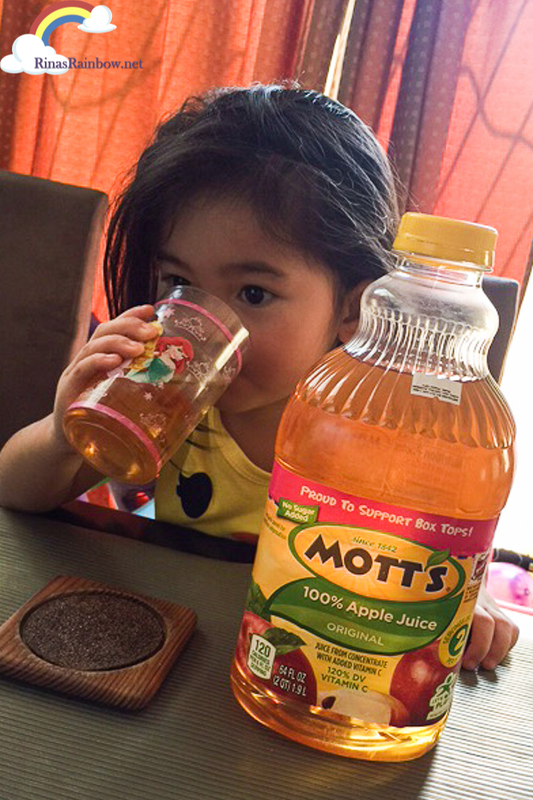 Thankfully there's Mott's 100% Apple Juice! 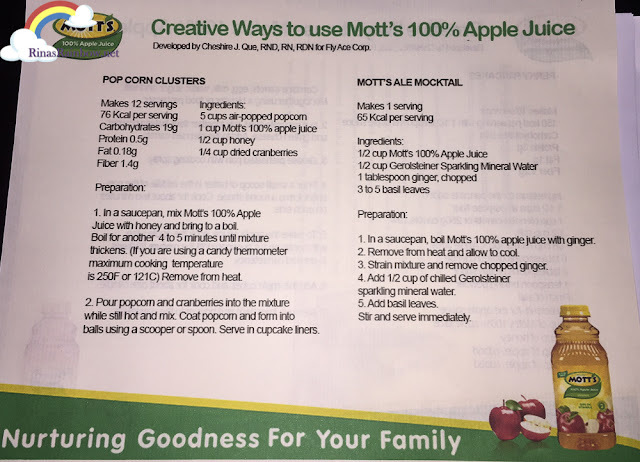 Mott's 100% Apple Juice is made from concentrate mixed with water then pasteurized and packaged. And that's it! 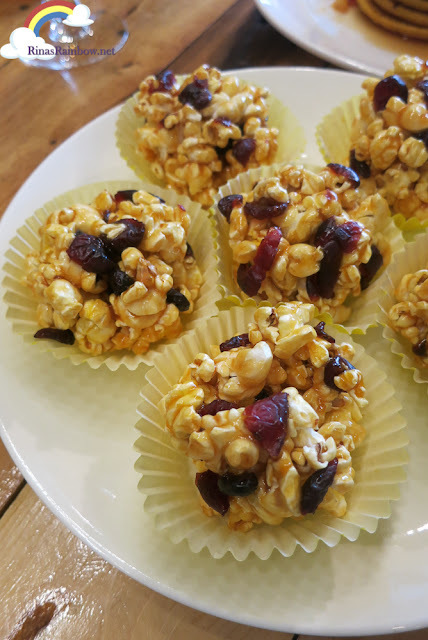 There are no added sweeteners, be it artificial or natural. Moms would be thrilled to know that because Mott's Apple Juice is so pure, that only 8 oz of serving already gives you 2 servings of fruit, and 120% daily value vitamin C.
The taste? Considering this is 100% Apple Juice, it tastes great! And really refreshing with plenty of ice! 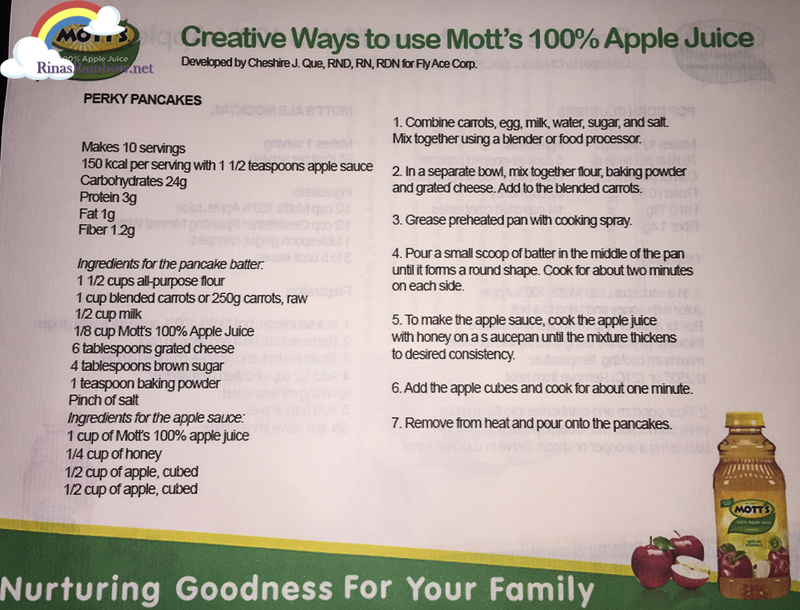 You may also create delicious fun and healthy recipes with Mott's! And this Mott's Ale Mocktail. 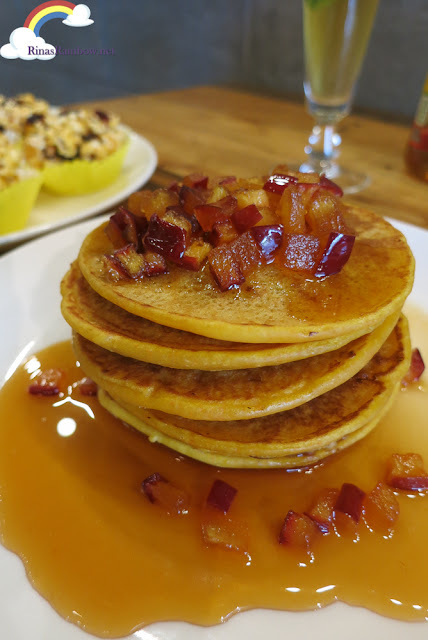 Recipes for both at the end of this post! 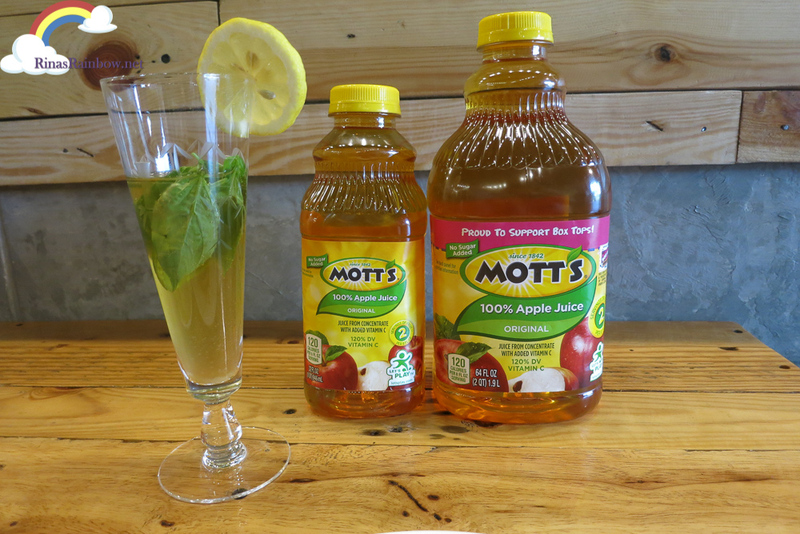 Mott's has been a trusted brand in the US since way back in 1842. And it's been in the Philippines since the 1980's. And now, for the first time, Mott's Apple Juice has announced that Janice Crisostomo-Villanueva is their new brand ambassador! 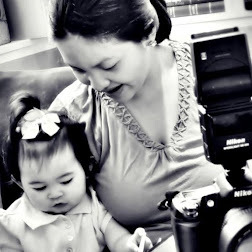 Janice is the founder of Mommy Mundo , a website focused on promoting essential and empowered information for parents. 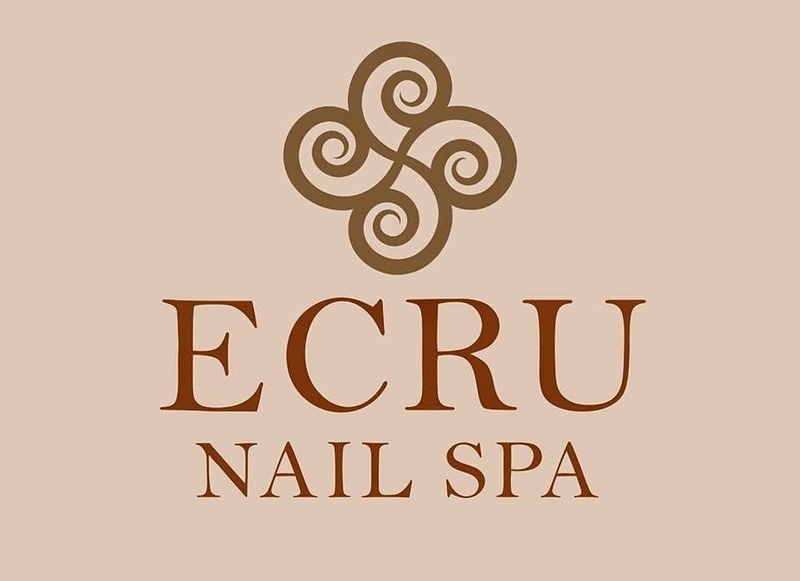 Parenting, womanhood, lifestyle, friendship, and even entrepreneurship. She's got them all covered! 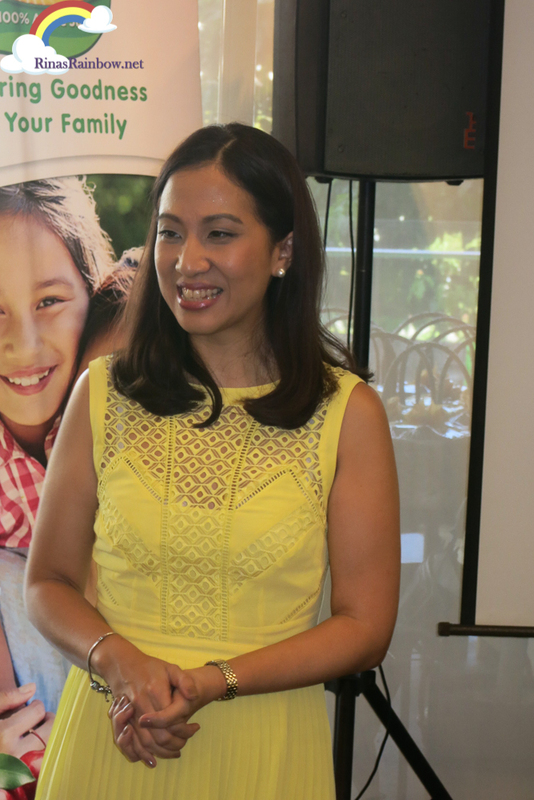 A real super mom, which makes her a perfect ambassador for great brands such as Mott's 100% Apple Juice. 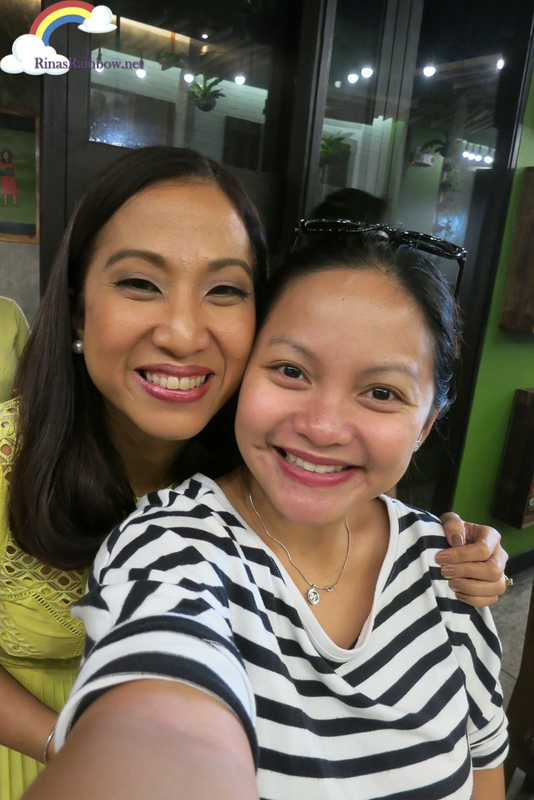 Congratulations again, Janice!!! 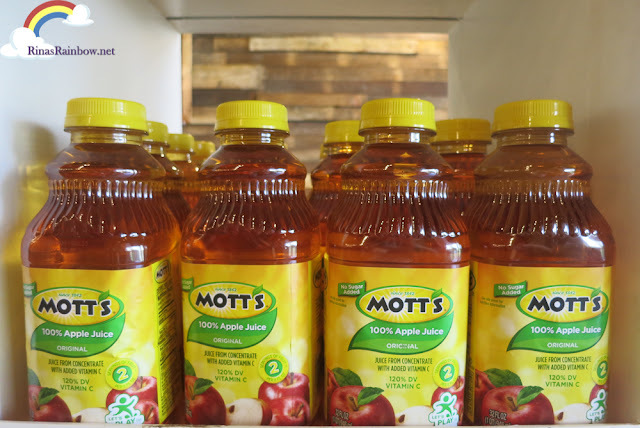 Mott's 100% Apple Juice is available in 32 oz and 64 oz and is available in leading supermarkets worldwide. So you see you can't just buy any apple-flavored juice for your child. Your whole family deserves 100%! 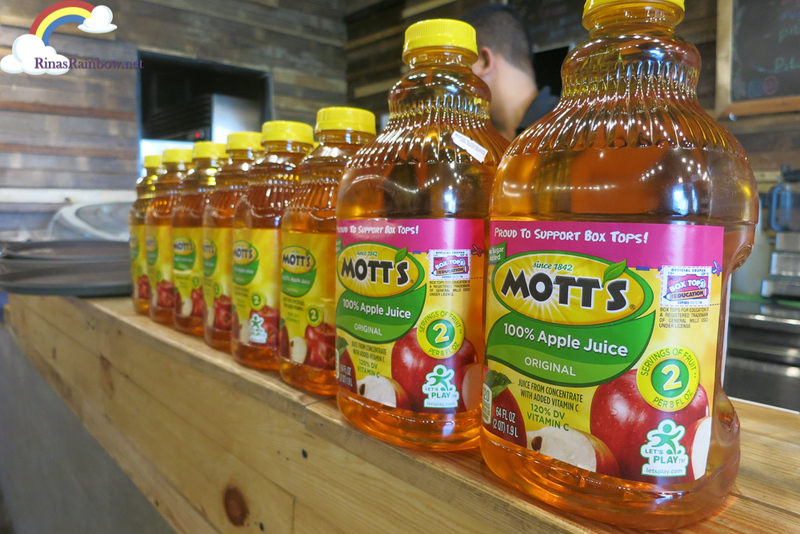 And Mott's is your very best bet in nurturing goodness for your family! 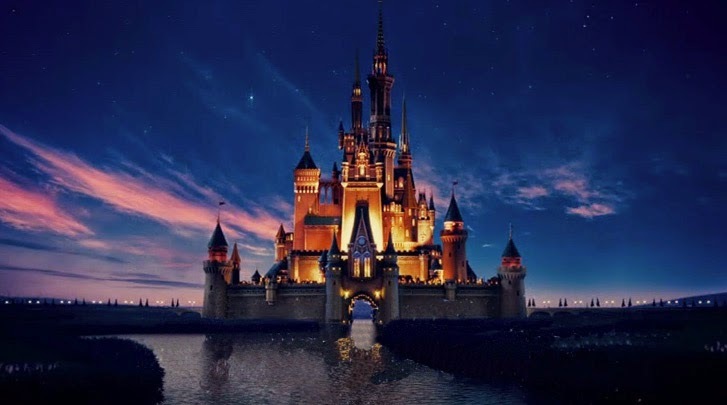 Thank Rinas for sharing a nice post. I'm totally agree with Rinas and Lucy.